Our staff are essential to Dierksen providing compassionate quality care to our patients and families. Without highly qualified staff we cannot achieve the clinical excellence that we demand. We are honored that you are considering a career with Dierksen and we look forward to getting to know you. If you want to work in a professional atmosphere and you think your experience and skills would benefit our patients and families, please complete the application below and email or fax it to our office. You are also welcome to stop by our office anytime and meet some of our staff members. If you are a clinician, you may want to consider “shadowing” one of our existing staff members to determine if Dierksen is a good fit for your career goals. Dierksen Hospice is a premier provider of end-of-life care. We offer excellent compensation and an industry leading benefits package that includes a company matching 401(k) plan, a generous time off package, and comprehensive health, dental, and life insurance coverage. Very special people work for hospice. Would you like to be one of them? Hot Springs, AR: We are searching for a few open positions. Our goal is to find people that love what they do, are flexible, and are cooperative in fulfilling obligations. As a member of the interdisciplinary team, the Registered Nurse works under the supervision of a Patient Care Manager and the attending physician in providing skilled nursing assessment, planning and care to maximize the comfort and health of our patients and their families. We are looking for an AR-licensed RN with a strong passion for the hospice care philosophy and principles. 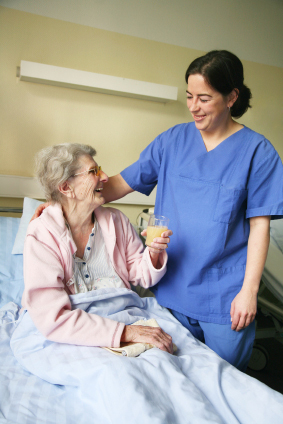 We would like to see at least three years of experience in either a hospice, LTC, SNF, ALF or home care setting. This Registered Nurse works under the supervision of a Patient Care Manager and the attending physician in providing skilled nursing assessment, planning and care to maximize the comfort and health of our patients and their families. The on-call role is from Friday at 4.30pm through Monday at 8.00am. They would be responsible for a mix of scheduled visits, taking phone calls from care givers, and responding to emergencies as warranted. This salaried position also includes mileage and a full collection of benefits. The AR-licensed RN should have a strong passion for the hospice care philosophy and principles as well as at least three years of experience in either a hospice, LTC, SNF, ALF or home care setting. The Bereavement Coordinator plays an important role in communicating with caregivers up to 13 months after a patient’s passing. They reach out with helpful correspondence and also help to assess potential bereavement risk and coordinating more involved care, if needed. The Bereavement Coordinator works with all of our care team members and reports to the agency’s Program Director. He/She should have a strong passion for the hospice care philosophy and principles as well as strong computer skills. Dierksen Hospice complies with applicable Federal civil rights laws and does not discriminate, exclude or treat people differently on the basis of race, color, national origin, age, disability, or gender. Interpreter Services are available free of charge. Spanish: Atención, si habla español, tiene a su disposición servicios gratuitos de asistencia lingüística.